No one has ever said Bus Kelver is like anyone else. Probably true. Here goes. I am offering a challenge to all Past Masters. This is my 50th year as a Past Master. Here is my pitch: Ten dollars a year for every year a Past. Enclosed find my check for $500.00 to the Indiana Masonic Home Foundation. Think about this, my brethren. What a blessing it is to say we have a Masonic Home. We all recognize the value of supporting our Masonic charities—and certainly Bus Kelver continues to practice what he preaches in that regard—but we may not always think of the tremendous impact we have when we encourage others to give as well. 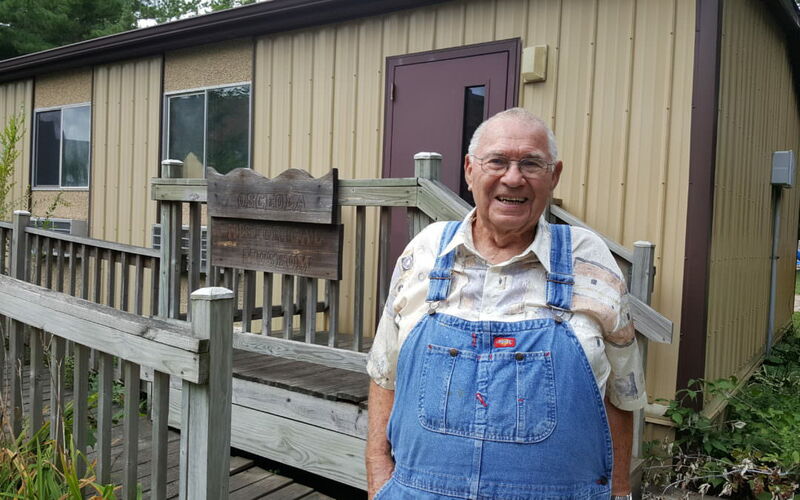 Beyond the inspiring plea to all Indiana Past Masters above, Bus has also been instrumental in fostering generosity at his lodge as its Indiana Masonic Home Foundation Ambassador. In fact, for 2017, all eleven of Mishawaka Lodge’s officers are credited with a Gold Card donation of $100.00 or more to IMHF. Many thanks to Worshipful Brother Bus Kelver for supporting the Indiana Masonic Home Foundation and for inspiring others to do the same!